Disabled people face losing out over the next four years as the government announces further changes to welfare payments to be introduced next January. The government hopes to save £1.2 billion by making the formula used to calculate the daily living component of Personal Independence Payment (PIP) "fairer". It comes after an independent review found the current assessment criteria "may not be working as planned". But the plans have been met with criticism by some charities, with the MS Society labelling them "devastating". Recipients of PIP are assessed using a points system to determine what level of help they receive -claiming between £21.80 and £139.75 per week. But the review found that a "significant" number of people are likely to be getting the living component despite having "minimal to no ongoing daily living extra costs". Data from the Department of Work and Pensions showed that one in three claimants receive the daily allowance solely as a result of needing aids or appliances. But in 96% of these cases the likely ongoing extra costs of daily living are nil, low or minimal, the report claims. Many of the aids and appliances for which points are being awarded are likely to be already found in people’s homes, provided free by the NHS and local authorities, or can be bought for a low one-off cost, it added. The impending changes to welfare payments are a move away from a "one size fits all" model, supporting a more tailored approach based on the needs of claimants. 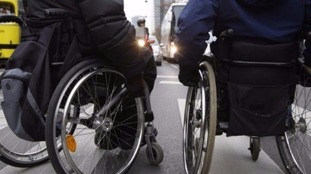 But a coalition of disability charities have written to the Government warning against the plans, saying it could have a "devastating" impact on some claimants. The introduction of Personal Independence Payment to replace the outdated Disability Living Allowance for working age claimants has been a hugely positive reform. But it is clear that the assessment criteria for aids and appliances are not working as planned. Many people are eligible for a weekly award despite having minimal to no extra costs and judicial decisions have expanded the criteria for aids and appliances to include items we would expect people to have in their homes already. We consulted widely to find the best approach. And this new change will ensure that PIP is fairer and targets support at those who need it most.